March 24th; World TB Day commemorates 24 March 1882 when Dr Robert Koch discovered what causes tuberculosis. But over a century later the disease kills around 1.7 million people a year. 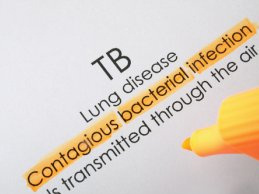 So what exactly is TB? An infection caused by bacteria that mainly affects the lungs - although different types can affect other parts of the body. Tuberculosis symptoms include coughing up blood or phlegm, weight loss and a loss of appetite. The good news is that with treatment a treatment of antibiotics TB is relatively straight- forward to cure. The World TB Day website has lots of information about events taking place to raise awareness of TB. 'On the move against tuberculosis' is the two-year campaign that aims to draw awareness to the importance of new research and care for people living with TB. The campaign will focus on the people who have found ways of doing this.